On the 25th Sunday of Pentecost, nearly three months into my call at The United Churches of Olympia, it was time to shake up our prayers a little bit. I wanted to do something different this week — partly because the gospel lesson seemed to encourage it and partly because the congregation has become a little too comfortable with the way that I have been leading the Prayers of the People. I was curious about the idea of the coins in this particular gospel text — especially after I read in Feasting on the Word that we should become those two small copper coins. It’s easy to step into another human’s experience. It’s not always easy to check our own assumptions about the world when taking on that role — but how do you claim the identity of an inanimate object? I got to thinking about coins. I thought about asking the children to count a bunch of pennies or stack them. Or somehow demonstrate visually that we might feel unimportant or undervalued, but look what happens when we all build upon each other. Kinda like legos. Oooooh. Legos. (I gained further confidence in this ritual prayer when I found this.) It was decided. We would pray with legos. I offered an invitation in the bulletin and one as we began this time of prayer together. In both invitations, I reminded the congregation that this is just a thing that doesn’t seem very important by itself. Still, we each have some thing that we can offer — some object, some hope, some need — to change the world. 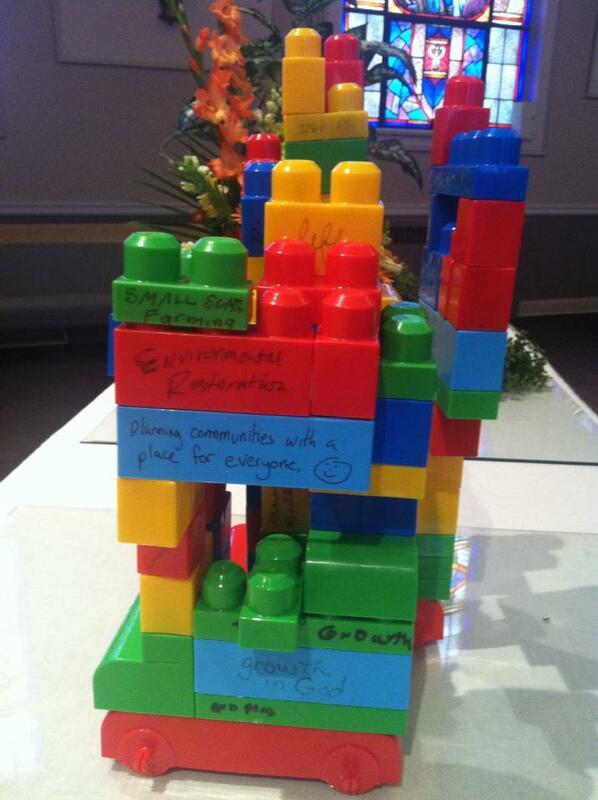 We sang this Taize chant as each member of the congregation came forward to write that object, hope or need onto their lego block with a marker before adding their individual prayer to our tower of prayer. In the end, our prayers looked like this. I did not expect so many members of the congregation to participate so actively in this prayer. I watched the few children that didn’t go off to Sunday School be included by parents. I saw church members bringing up lego prayers from those that were not as mobile. I was amazed that the choir led us so beautifully in this singing. It was amazing — and truly proof that we don’t need words to carry our prayers. 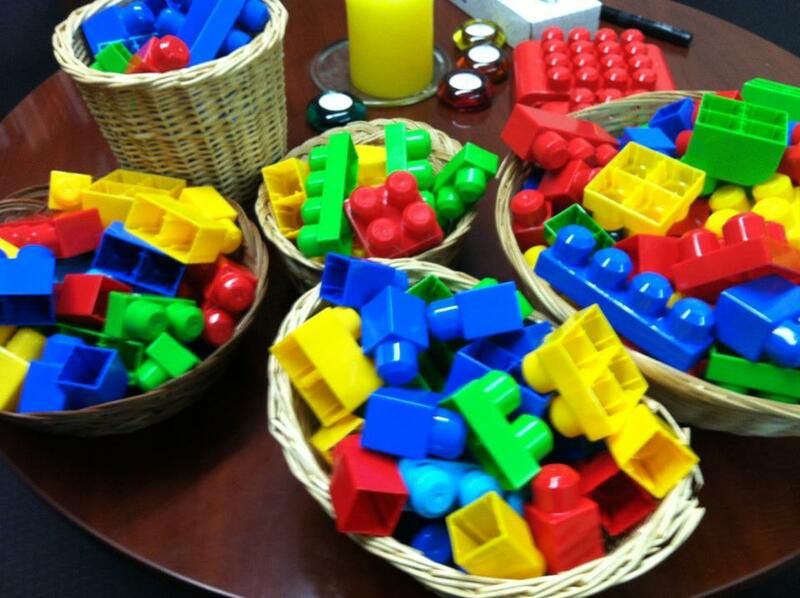 Sometimes we just need a few legos.